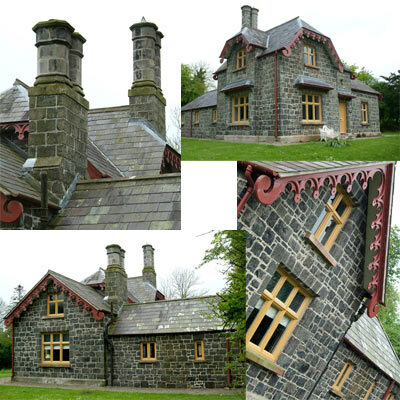 This was our first project for the Irish Landmark Trust, a charitable organization who acquires historic properties in need of repair, restore and offer these properties as unique holiday accommodation for rent. The cottage was built as a hunting lodge for the local estate however fell in to dereliction and was in danger of collapse. The works entailed the complete re-roofing including roof timbers, the rebuilding of chimneys, replacement of windows, internal replastering in a lime based plaster, laying of stone flag floors, mechanical, electrical joinery and decoration. Drainage was installed together with the site works and repairs to outhouses.